Creating your Italian pizza garden can be a great summer activity for kids. It is no secret every kid loves pizza. In fact, it is safe to assume that all adults love pizza too. Pizza is not only enjoyable to eat, but they are fun to make with kids. 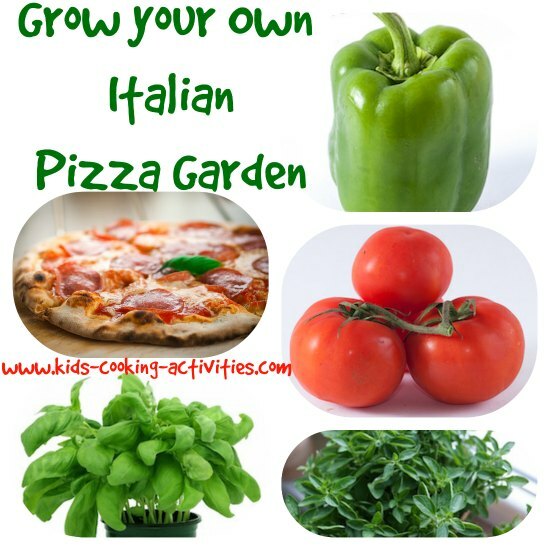 You can even teach your children to grow their own pizza garden! Participating in fun activities like these, children will build self confidence, along with a sense of accomplishment. Involving your child in the task of planning for a garden, creating the garden and maintaining the garden will teach the responsibility and instill the value of working hard and reaping the rewards. To start, we want to grow the ingredients used on pizza. We'll show you how to grow two vegetables and two herbs used often on homemade pizzas in your own Italian pizza garden. Not all pizza uses tomato sauce, but almost all pizzas do have tomatoes in some form -either as a sauce, or simply as a topping. The best tomatoes for toppings are roma tomatoes. 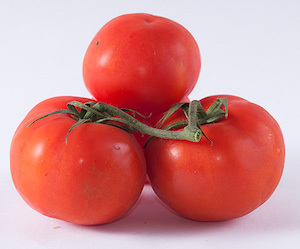 Italian tomatoes which are similar to roma tomatoes, are bigger but can be hard to find. Roma tomatoes are perfect for toppings because they are meaty and do not contain a lot of juice such as a beefsteak tomato. The extra juice can cause the pizza dough to become soggy. Make sure you plant the right type of tomato in your Italian pizza garden. Tomatoes growing from seed must be started indoors during the winter months and receive proper care. It is much easier to purchase tomato plants from a local hardware or garden store. If you have a large family you will want to buy more than just one plant. It is a good idea to buy at least two or three plants. This way, if one should not survive due to insects or disease, you still have the others. There are different varieties of tomatoes, so growing times may vary. However with Roma tomatoes it can take two months until they start producing edible fruit. If using container gardening you will need to water much more frequently than if planting in the ground. Regardless, you always want to make sure your soil is rich in nutrients and if possible organic. It is important when using containers, to use potting mix - not potting soil. In addition, if container gardening, remember you will need to add fertilizer throughout the growing season in your Italian pizza garden depending on specifications which should be indicated on the bag. 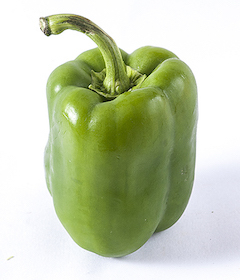 Our next ingredient to grow are green peppers. These are a great addition when creating a vegetable pizza with mushrooms, red onions and black olives. As with tomatoes it is best to buy your pepper plants from the store. Make sure your soil does not have too much nitrogen as this can cause the peppers to not produce much yield. As is the same with tomato plants you only want to plant them when the soil is approximately 70 degrees F. Space your plants about 2 feet apart as these will spread out. In addition, the root system can be very fibrous and we want to avoid any crowding of the roots with neighboring plants. Water your peppers regularly as they prefer soil which is moist. Once the peppers are of edible size you know they are ready to harvest. You might also consider adding other peppers such as hot peppers in your Italian pizza garden, you can put these on a pizza to add some extra spice. Make sure to involve your child in the decision making process. In our Italian pizza garden we must also include some herbs. Two of the most common herbs used on pizzas are oregano and basil. Both of these can be planted by seed however, it is much easier especially with children, to simply purchase plants. Remember each container which you buy typically includes two or three individual plants. 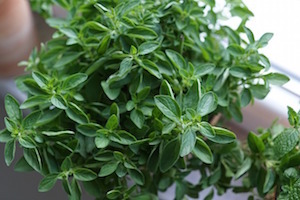 Oregano can be grown in partial shade, but it prefers full sun. Space your oregano plants about 2 feet apart like the green pepper plants. It does not require a lot of water, and can do quite well in drier soil if there is plenty of sun. Keep in mind, oregano is a very strong herb. Thanks to Italy for sharing a little secret oregano- is the secret herb which is used for pizza sauce. To make a quick and easy pizza sauce simply follow the recipe below. Read more about starting an herb garden. 1. Pour a small jar of pasta sauce in a medium sauce pan and turn to low-medium heat. 2. Add in 2 Tablespoons of tomato paste and stir well. 3. Add 2 teaspoons of your fresh garden oregano which has been finely chopped. 4. Let simmer for 20 minutes. 5. You will have a sauce for your pizza. Basil is a favored herb to use on a pizza as well. In fact many people enjoy a simple combination of sliced tomatoes, mozzarella cheese and basil leaves as the only toppings. This is called a Margherita pizza named after the Italian Queen, Margherita of Savoy. When planting basil plants in your Italian pizza garden, make sure they are spaced out about 1 foot apart from each other. Only plant the basil when the temperature is in the 70's, and nighttime temperatures are above 50 degrees as basil is very sensitive to cold weather. Unlike oregano which enjoys a drier soil, basil prefers a moist and rich soil to flourish in. 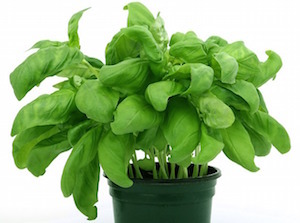 It may be tempting when you first plant the basil to start using the leaves, but it is best to wait until they are approximately 6 inches in height and snip off the first few sets of small leaves which begin to appear. This will help the basil plants produce leaves for a longer period of time. Remember, when using basil for your Margherita pizza, do not put the basil on top until the end of cooking, otherwise the basil will become crispy, burn and lose its flavor. If using a store bought pizza crust, which is much easier and quicker than making your own, rub a few small drops of olive oil on the bottom of the pizza as this will help the pizza have a nice crispy bottom crust. For a homemade pizza crust, try this one. Slice a few Roma tomatoes thinly and layer them on the top of the pizza crust. 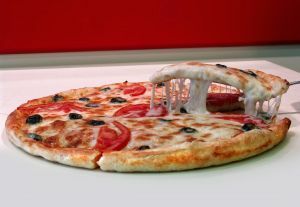 Take a ball of fresh mozzarella and slice it into the thin slices as well, and create a layer over the pizza. Make sure that the mozzarella is not too crowded because it will spread as it melts. Cook in a preheated oven according to the instructions on the pizza packaging. Typically it is 400 degrees F. for anywhere from 12 to 20 minutes depending on the size and thickness of the pizza crust. Add the basil by tearing it into pieces by hand and placing them on the pizza 3-5 minutes before the pizza is done. Continue cooking for the last 3-5 minutes. We do not want the basil to become crispy. Remove from the oven when finished and serve warm! Enjoy your time with your children growing and planning an Italian pizza garden and enjoy eating your pizza! Liz Krause, from www.simpleitaliancooking.com, is from an Italian family and encourages everyone to have fun in the kitchen.